After the start of the sprint race Pedro Piquet took first place when the British Ilott found himself in a four-way battle with Piquet, Mawson and Lorandi. Ilott did not give his first place easily with retaking the leader position on the opening lap from the Brazilian Trident driver. The ART driver started to build up a gap from the Trident driver. Piquet had to defend his second position from Mawson’s continuous attacks who was under pression from Alessio Lorandi. Midway the race Ilott built a 2 seconds gap ahead of Piquet followed by a Lorandi-Mazepin fight for the last step of the podium. 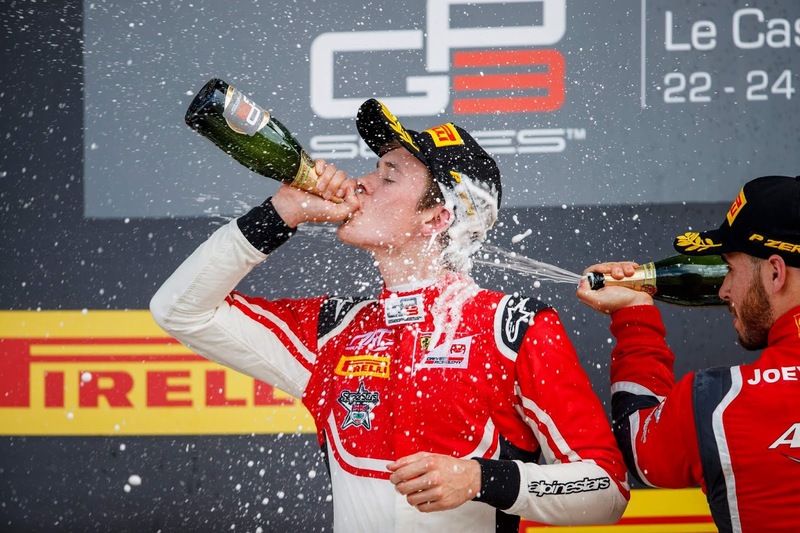 Callum Ilott crossed the lines first scoring his first ever GP3 Series victory followed by Nelson Piquet’s son Pedro Piquet and the Australian Joey Mawson both achieving their first GP3 podium. The Italian Alessio Lorandi finished behind the top3 followed by Nikita Mazepin, Giuliano Alesi and yesterday’s winner Anthoine Hubert. Campos’ Leonardo Pulcini scored the last point scoring position taking eights.